In a Nutshell: Talent acquisition and retention present challenges for the retail industry especially with its high turnover, seasonal hiring, and competition for technically skilled workers. Retailers must also promote their unique brand values to recruit the quantity and quality of workers they need. CareerArc provides the software tools and access to employment channels to accomplish those tasks. Brands can use the Social Recruiting platform to optimize messaging to reach top talent on social media and even provide options to declined applicants through Candidate Care. CareerArc’s innovative outplacement service enables retailers to transition seasonal workers to other jobs and strengthens brands by improving every phase of the candidate experience. Modern retailers find the recruitment and retention of qualified employees to be a significant challenge. This struggle is primarily caused by the perception of retail jobs, the industry’s unique staffing needs, and the shifting role of the brick-and-mortar store in the commerce experience. Retail jobs are often stigmatized as temporary and repetitive, with many workers viewing them as a first step on the path to a real career. This has contributed to an industry-wide turnover rate as high as 65% among hourly associates. But turnover is a necessary part of the hiring cycle in the retail sector — where business ramps up during key holidays and seasons. Human resource managers often struggle to efficiently mass-recruit and then phase out temporary workers on tight deadlines. Yair Riemer, Chief Marketing Officer at CareerArc, spoke with us about the platform’s retail capabilities. The digital transformation is changing stores into omnichannel hubsm which has also impacted recruitment by redefining the kind of workers needed. Stores with buy online, pick up in-store services, digitized inventory, and customer tracking systems need associates who are both customer-oriented and tech-savvy. But so do other industries and sectors — which means fierce competition for top candidates. CareerArc’s suite of software solutions helps retailers showcase those values and broadcast jobs to the channels where the greatest number of candidates will notice. Its platform enables brands to gain visibility, hire quality workers in large quantities, and quickly transition seasonal workers into other retail jobs and industries. With these tools, retailers can create the positive experiences that perpetuate their appeal to the modern workforce. “We’re trying to help companies get their names out there and also protect their brands on the other side,” Yair said. CareerArc works with retailers to establish a strong presence on the employment channels modern jobseekers use to research companies and form their opinions — particularly social media. Dedicated account managers turn HR leaders into marketers by working with them to gather employer branding materials — content, images, and videos that showcase company perks and strengths — and strategize where to distribute them through CareerArc’s Social Recruiting network. 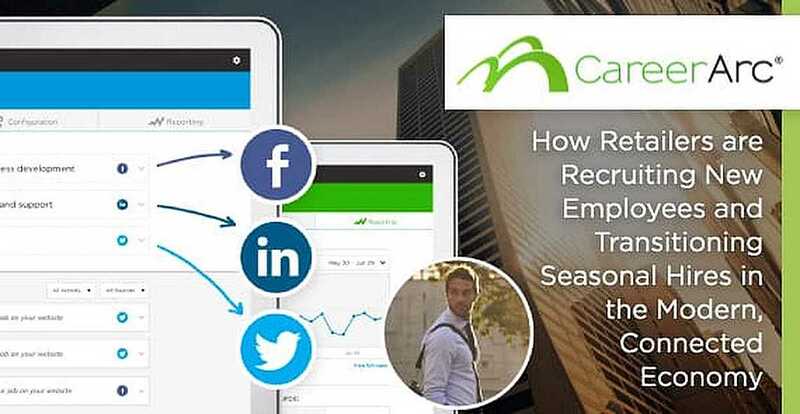 CareerArc integrates with most Applicant Tracking Systems (ATS) HR managers use, streamlining the process of distributing jobs across social channels. “Our software delivers that message and those jobs automatically on Facebook, Twitter, LinkedIn, and mobile apps,” Yair said. CareerArc helps companies transform their social media channels into recruiting pipelines. Account managers help brands make the most of Social Recruiting, but users can easily update their brand assets, create campaigns, and manage social media posts with CareerArc Engage. Social Recruiting also includes features such as reporting, activity tracking, and an interactive Job Map interface that allows applicants to search jobs by location. Ulta Beauty was two years into an aggressive expansion plan — launching 500 new stores in five years — when it turned to CareerArc for help leveraging its social media for recruitment. With the busy holiday season approaching, Ulta needed to hire 10,000 seasonal workers. 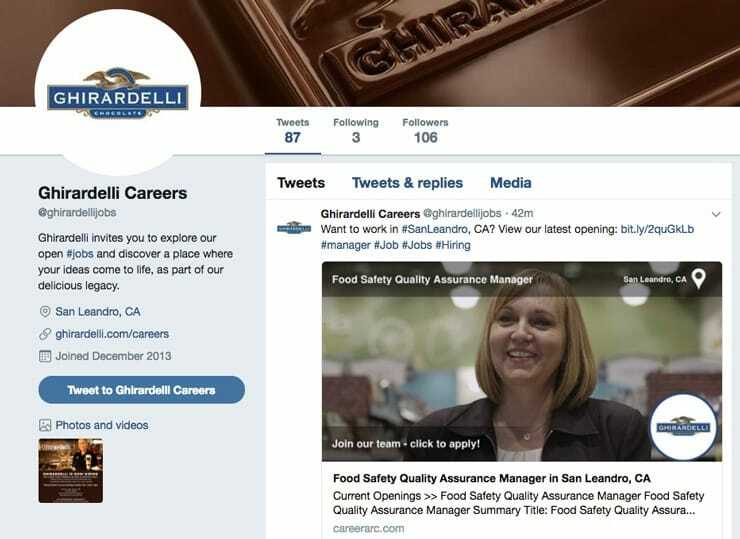 CareerArc determined that Twitter was the best channel to reach Ulta’s target applicants and researched hashtags to optimize Ulta’s job tweets for both active and passive candidates. By the end of the campaign, Ulta had exceeded its seasonal hiring goal by 50%. Overall, Ulta saw a 70% increase in job applications, a 53% increase in new hires, reduced time-to-hire, and better associate retention compared to previous years. All of that contributed to the company’s record 25% year-over-year increase in revenue for the quarter. For the last 50 years, most companies have only offered outplacement resources — such as résumé-writing workshops and career coaches — to top executives transitioning out of employment. Now, with the rise of business review sites and magnified employee voices, companies are eager to avoid negative brand feedback by providing positive experiences for all employees. Many retailers are joining the trend of extending outplacement programs and benefits to hourly associates and seasonal hires — which CareerArc calls Outplacement for Everyone. The company’s Outplacement platform allows retailers to offer departing workers a suite of resources that help them quickly transition to new employment. Outplacement guides workers through a six-step process with various program tracks that provide relevant materials based on the individual’s preparedness for the job market. Users can search through millions of job listings on the platform’s database, tweak their résumé and cover letter with a responsive résumé-builder, and use assessment tools and workshops to prepare for their future career. The platform also gives workers access to personalized help from a career coach. CareerArc encourages businesses to offer outplacement services to all employees, including live career coaching. 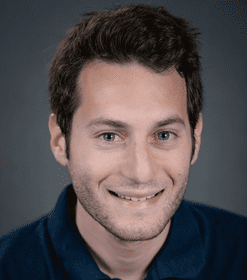 “We created an online platform where you can live chat with career coaches around the country, seven days a week, to help you with a résumé, cover letter, or interviewing skills,” Yair said. CareerArc Outplacement helps workers land jobs three times faster than the national average. Faster transitions for workers also lead to better brand impressions, better reviews, and can directly impact a retailer’s ability to attract qualified candidates in the future. “Companies would be innovative and smart to adopt that strategy — to see the value of their brand, the value of Glassdoor and social media, and protect themselves from negative backlash by providing outplacement for everyone,” Yair said. Brands realize that positive candidate experiences are critical to fast hiring and long-term retention as they compete for the most sought-after workers. And, with the prominence of social feedback, even the way a retailer treats declined applicants or discharged workers can impact brand image. Candidate Care — a module within Social Recruiting — enables brands to leave declined applicants with a positive impression that increases the chance they will apply for another position in the future or recommend the employer to a friend. Social Recruiting, Candidate Care, and Outplacement software solutions demonstrate CareerArc’s dedication to strengthening employer brands. And the platform allows retailers to showcase their value to potential applicants while also protecting them from the negative feedback loops that exist in the connected employment world. “Establishing the importance of brands and helping people out are the core principles of our platform,” Yair said.